Low Carb Tortillas Chips are quick and easy baked grain free chips made with only 5 ingredients. 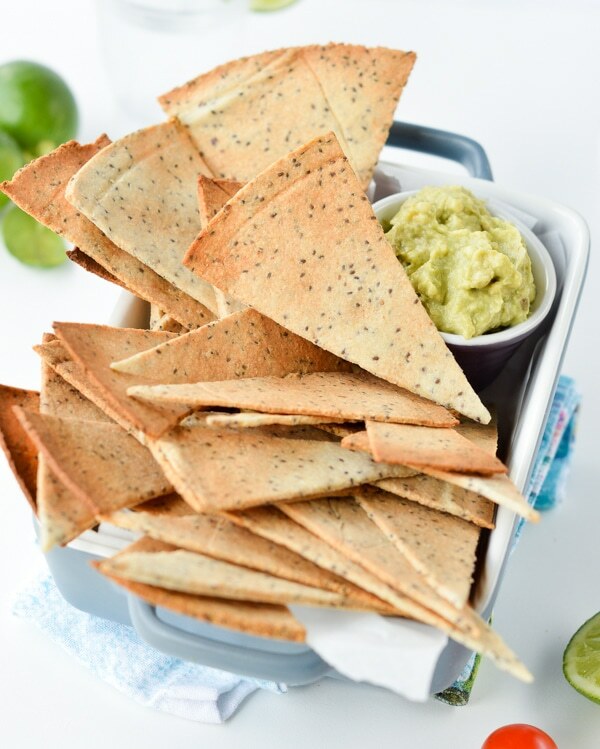 A simple healthy tortillas chips recipe made with superfood : almond meal, chia seeds and olive oil. Those are life changing chips, your favorite low carb bread recipe to replace carb loaded bread! 100 % grain-free, Paleo and Vegan with only 0.4 net carb per chips. Ok guys, let’s face it we ALL love chips right? Who don’t ! As you know, in my house we love finger food nights during the week end. It makes dinner so much fun to be all around the small table sharing finger food. 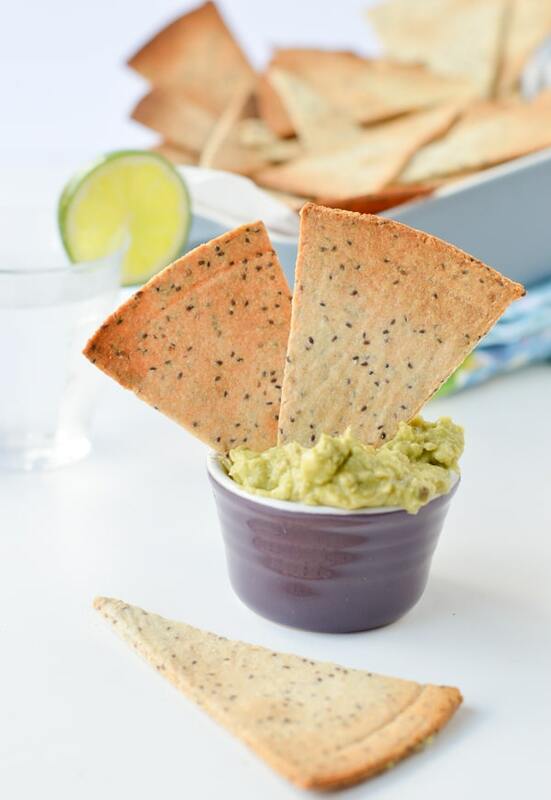 The kids are always asking for tortillas chips to dip in my simple avocado dip. I found very good healthy brand in the supermarket but well, the store-bought low carb chips are SUPER EXPENSIVE ! And the corn chips are high in carbs, mostly fried and high fat too. So that is how I came up with the desire to make my own low carb tortillas chips. Most people buy low carb tortillas wraps that they cut into tortillas chips and bake them. Pretty easy I know. But I really wanted to make SUPERFOOD low carb tortillas chips with simple natural ingredients. Those one are definitely the BEST wholesome tortillas on earth, and guess what? You only need 5 ingredients to make those. All you need are 4 main ingredients – plus water ! Almond meal – also called almond flour or ground almond – all are the same. I used blanched almond meal but unblanched almond meal will work well too. The color only will differ. Spices of your choice – Play with the spices and create TONS of low carb tortillas chips flavors! I love to combine ground cumin, garlic powder and nutrition yeast – this gives a cheesy flavor while adding lots of vitamins B1 and B2. . Other great idea are smoked paprika, paprika, dried rosemary, curry powder or even turmeric! Olive oil – I also tried the recipe with different healthy oils like avocado oil, almond oil and hazelnut oil It is a great way to give a different flavor to the chips. 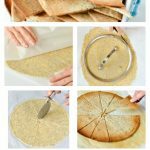 How to make homemade baked tortillas chips that crisp ? 1- The thinner the better -follow my technique below – I roll my dough between two pieces of parchment paper – this is A MUST pressing the roller pin really well to make the dough super fine. Using parchment paper is not optional. It avoid the dough to stick to the roller pin, it makes dough super thin and the transfer of the chips on the baking chips is easier – all you need to do is to lift the piece of parchment paper onto the baking sheet. No need to move the rolled dough !!! 2- Baking at hot oven and checking every minutes – usually thin tortillas chips are all cooked through after 6 minutes BUT depending on how thin they are they may required 1 extra minute. I always check the color of my tortillas chips every minutes after 6 minutes of baking. Most of the time they are cooked after 6 minutes, but well, sometimes I roll my chips a bit thicker and it will take up to 8 minutes. The color is your indicator. If it is golden brown it is ready ! 3- Cool for 5 minutes on the baking sheet– this add extra crisp ! don’t skip this step. This recipe makes 30 low carb tortillas chips. Nutrition panel is for one tortilla chips. I would recommend 10 chips as one serve. The flavor is delicious, slightly nutty because of the almond meal but I love it. Watch the low carb tortillas chips video and make them now! Low Carb Tortillas Chips, quick and easy baked keto chips with only 5 ingredients. 100 % grain-free, Paleo + Vegan. Those are life changing chips made of almond meal and chia seeds and only 0.4 net carb per chips. In a small bowl add the chia seeds and water. Stir with a spoon to combine. Set aside for 10 minutes or until a gel-like texture form. In another large mixing bowl, add almond meal, olive oil, spices and the chia seed gel created before. Knead dough by hands, squeezing the mixing between your finger to incorporate the chia gel into the almond meal, until it forms a dough. It shouldn't take more than 1 minute to form a dough ball. Place the dough ball between two pieces of parchment paper, and rool out with a rolling pin as thinly as possible. 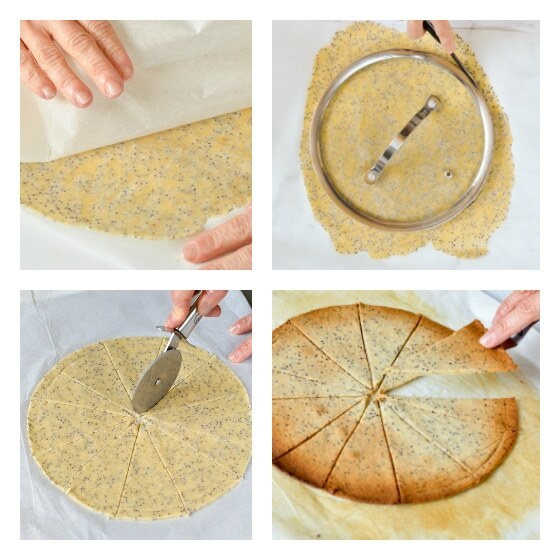 Remove the top layer of parchment paper, cut out tortillas chips using a pizza cutter or sharp knife. To make triangle chips (tortillas shapes), simply place a round shape on top of the rolled dough. Cut around the lid, remove the dough outside of the lid - keep it for later to roll again and make more chips! 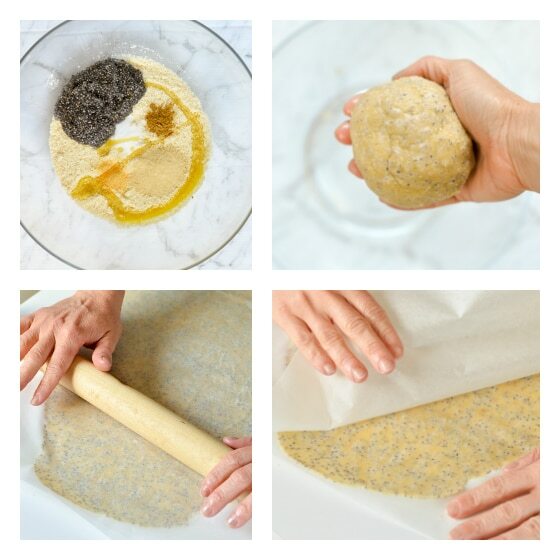 You should end up with a circle of rolled dough. Then, using the pizza cutter cut triangle as you will cut a round cake. Move the dough with parchment paper onto a baking sheet. Bake for 6 minutes, check the color and stop baking as soon as you reach a golden brown color. For very thin chips it took 6-7 minutes. For thicker chips it could take up to 8-9 minutes. I recommend you to bake for 6 minutes then check every 1 minute to avoid the chips to burn. Use a flat tool like a knife or small spatula to remove/lift the tortillas chips from the parchment paper. Serve with my simple avocado dip recipe or dip of your choice. Storage: Store up to 5 days in a airtight container -they will slightly soften after 3 days but you can rewarm them 1 minute at 75C (160F) for 1 minute just before serving to give them some crisp again. I recommend a metallic box or glass jar to keep the tortillas very crispy. Freezing: I don't recommend to freeze those chips. They will lose their crisp. Spices ideas: feel free to experiment with dried herbs like rosemary, oregano or onion flakes, smoked paprika, turmeric powder, curry powder or even matcha powder! Salt: the recipe is using only 1/4 teaspoon salt which keep the chips low in sodium and healthy. If you love salty chips feel free to add more salt but don't exceed 1/2 teaspoon salt. Way cool! I usually make mine with Corn tortilla shells. This is great idea too! Hi Jeff! Glad to see you on the blog too 🙂 Corn tortilla shells are great idea too. I am sure my kids will love it. Will give it a go this week end. Thanks for sharing your ideas. XOXO Carine. I made these today. I used parmesan cheese in place of the nutritional yeast but otherwise followed the recipe. They were DELICIOUS! Thank you for posting this recipe. It will help me stick to my low carb plan. Thanks for this lovely comment my friend. I am so glad it work out with parmesan too ! It is on my to do list for the next batch. Enjoy the low carb recipes on the blog. XOXO Carine. I added extra salt and cheese to mine. They remind me of cheese its. So. Good. I definitely will make them again. Awesome idea! I am so glad you are sharing this with us, will definitely try the cheese addition next time. Enjoy the blog recipes and thanks for trying some. XOXO Carine. Thanks Tina ! That is a great chip recipe, crunchy and a delicious nachos base – even better loaded with melted cheese 🙂 Enjoy the recipe and let me know how it goes! XOXO Carine. Pretty good !!! Gives me something with a crunch. Thanks ! You will love this recipe it is very easy and delicious ! Let me know what you think if you try it ! XOXO Carine. These are addicting! I just doubled the recipe to make more, as they didn’t last long in our home. We love chips and this fits our WOE just perfect. Thanks for sharing. I am so glad to hear that ! same in my house my kids are crazy about those – specially when I add paprika in them 🙂 Enjoy the recipe on the blog and thanks for sharing your lovely feedback on that chips recipe. XOXO Carine. Could I use flax meal instead of almond? No I am sorry it must be almond meal/ground almond. Flaxmeal contains 20 times more fibre than almond and will soak up the liquid drying out the batter. It will be a completely different recipe. Enjoy the chips ! XOXO Carine. Can anything be used in place of chia seeds? I really do not enjoy them..but of course the main way I have had them was when they are used in a pudding,etc. So they are squishy lol. If you are not vegan, try an egg, but I am not sure if it will goes perfectly as I did not try myself. You won’t feel the texture or taste of chia seeds in those chips. Even if you are not a fan, give this a go you will love them 🙂 Enjoy XOXO Carine. I am not ure how gelatin will work but I love chia seeds as this adds an extra boost of fiber, good fat for healthy gut and it is keto too ! Enjoy the chips. XOXO Carine. How many carbs is this recipe? Hello ! Nutrition panel per chips is provided after the recipe card. Scroll down for the full recipe panel but one chip 0.4 net carb and 20 cal. Enjoy the recipe. XOXO Carine. This recipe made an awesome pie crust for a low carb coconut pie! I know its odd but the “chips” I made reminded me so much of pie crust that I had to try. I love this recipe in both forms. Next I want to add lemon flavoring and maybe a touch of sweetness for a cookie type thing. Thanks for this great recipie! I never used this recipe for a pie crust but that is a clever idea! Let me know how it goes if you give this a go 🙂 Have a lovely day, XOXO Carine. It makes crispy chips and there are not flexible at all so I don’t see how you could make tortillas with this recipe. Check out my flaxseed wraps recipe for a low carb flexible tortilla here. XOXO Carine. Thanks for this awesome recipe! Constantly searching for recipes to replace high carb munchies for my diabetic sister! This looks like a wonderful cracker but I was wondering if there would be a replacement for the oil as I can’t consume oils or butters. Hello ! You probably can swap for an egg but it won’t be vegan anymore. I did not try the recipe other way so I can tell very much I am sorry. I hope you find lovely recipes that you can make on the blog. Enjoy ! XOXO Carine. Hi, Thanks for such a wonderful recipe. I am a bit uncomfortable with the rolling pin. Can you please suggest me any other way to make it? Rolling pin is the easiest or if you can find a tortilla press that will be the TOP easy peasy way to roll the dough! Enjoy the lovely chips and let me know how it goes! XOXO Carine. Oh Great! Thanks a lot, Carine. My pleasure! You’re so welcome. Enjoy ! Carine. Hi your recipes are amazing!!! I just want to make sure; when you say the recipe makes for example 4 servings and that the Calories are 100, is it 100 per serving or is it 100 divided by 4 so 25 cal per serving? Hello! In the recipe card shows the serving, like 4 means you can serve 4 portions of chips, calorie is for ONE serving so no need to divide anything. If it says 100 cal it is for one serving and you will have 4 serving in the recipe. A full nutrition panel is always provided after the recipe card, simply scroll down and it will be very clear, per serving again with all the data breakdown including carbs, fibres, fat etc. Enjoy the recipes on the blog and the low carb chips ! XOXO Carine. Can I use almond flour? It’s much finer than almond meal so I wanted to make sure I could use it. Yes sure both works well in this recipe. Enjoy the tortillas chips. XOXO Carine. Thank you, thank you, thank you!! I just made these and they are amazing!! They are perfect for my Keto diet! I feel like I can now have chips/crackers with my soups and dips! Did I miss the nutrition information though? I am so glad you love those chips ! I love my low carb crackers and chips too – keep an eye on the blog I should share more very soon 😀 The nutrition panel is always posted after the recipe card, just scroll a bit further. But be assure those are super low carb 0.4 net carb per chips (recipe makes 30 chips). Enjoy the blog! XOXO Carine. I don’t know how you came up with this recipe – but, IT’S FABULOUS!!! 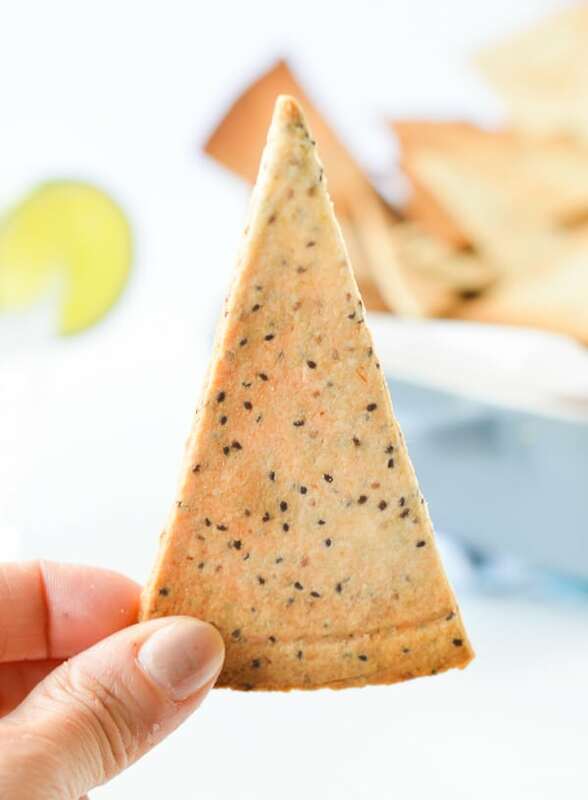 I’m following KETO and this fits perfectly – one of the best cracker recipes by far – actually – one of the best recipes for anything!!! Simple to make, and so well worth it – crispy deliciousness!!! Thank you so much!! HAHA thank YOU! I love low carb recipes and my husband is vegan so I am trying new things everyday and sometimes it comes out great as those tortillas and post them on the blog! 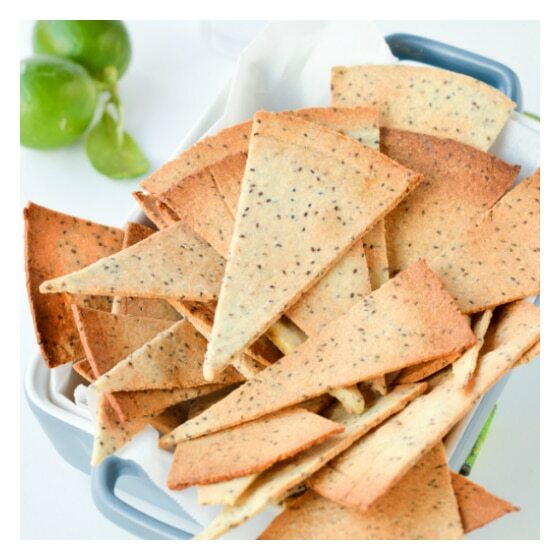 I also love to make flaxseed crackers if you want something different next time. There is barely 0.5 g net carb per cracker. Enjoy the blog and THANKS for this lovely comment XOXO Carine. Omg these are delicious and so easy to make! Thanks for sharing! I added extra nutritional yeast! Luv the flavor so don’t skimp! Lol. Thanks for his beautiful feedback! It makes me very happy to read that. I love the addition of nutritional yeast as well but my kids are not big fans that is why I said it is optional. But, agree that extra flavor is amazing! XOXO Carine. Hello! I LOVE, LOVE this recipe and have made it many times. One thing that keeps happening is, the dough sticks to the top parchment paper when I peel it off (not entirely but in spots). I have tried lightly greasing the paper and /or adding a bit more almond flour. Any ideas? Thanks! Thanks SO much for your comment! It is weird that the dough stick to your parchment paper even if you oil it !? Did you try using a different brand of baking paper? I recently switch to unbleached baking paper and I love it! No sticking issue anymore even with cookies. Let me know ! XOXO Carine. If allergic to nuts, can I use coconut flour instead? No I am so sorry this recipe can’t work with coconut flour. There is too much fibre in coconut flour, it will soak up all the liquid and won’t hold together. This is a almond based recipe. However, you can try my flaxseed crackers instead! It is nut free and low carb !!! Enjoy the blog. XOXO Carine. Wow! These are great! They were a real hit with my family. Thanks for sharing! Thank you SO much for sharing your positive experience on those tortillas! I am so happy your family love it too. Always one of my kids favorite snack as well. Enjoy the recipes on the blog. Love from NZ, Carine. These are delicious! Thank you so much. For the person asking about oil, I accidentally forgot to put it in and they were still incredible. I am going to try making them into bowls! Hello !!! WOW Costa Rica, now I am dreaming about holidays ! Thanks for the lovely comment. Enjoy the blog recipes. XOXO Carine. I am SO happy that you found my blog and enjoy my recipes. Have a great time here and see you soon on instagram. Love from NZ, XOXO Carine. Really quick and simple to make, I added garlic and onion powder and some grated cheddar cheese, yum! What a great idea to add cheese in those tortillas chips ! Thanks for sharing and hue thank you for trying my recipe too! XOXO Carine. I’ve made these before and absolutely love them. Was trying to quickly satisfy a sweet craving and get rid of some lwft over almond flour so this last batch I used liquid stevia and cinnamon to make some quick crispy graham cracker substitutes. Not 100% the same but really hit the spot for something crunchy and sweet! WOW, that is a great idea! I never thought about making those sweet but that is interesting and I want to try. Thanks for trying my recipes and sharing your lovely feedback and experience. XOXO Carine. Can you use sesame seeds in lieu of chia? No I am sorry it won’t work. The chia seeds in this recipe act like an egg. Chia seeds lots of fibres that create a egg like texture when soaked in water. Sesame seeds barely contains fibre and won’t provide the eggy texture required to make the tortillas chips dough comes together. 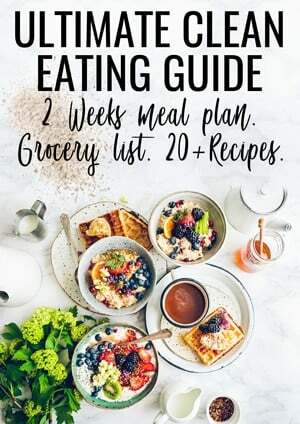 I hope you find some chia seeds to try this delicious recipes. Thanks for trying my blog recipes. XOXO Carine. I baked these tortilla chips yesterday….they are absolutely deliscious!!! Will be making these on a regular badis for sure!! Thank you souch for sharing this recipe. Thank you so much for the lovely comment. It makes me very happy to read it today. Enjoy the chips and the low carb recipes on the blog. XOXO Carine. Thank you for sharing this recipe. Now I am living in France and there is not a lot of keto food options around here (or maybe I couldn’t find them). I love your recipes. I made this cracker, one batch with vanilla and another I used matcha. I want some snack and this work well. I made it a bit too thin and it burned so fast. But my husband loves them. Anyways thank you so much. Hi ! I have been to France last year and I agree, keto food is hard to find. I am so glad you enjoy the chips. Enjoy the blog. XOXO Carine. A bientot et bonne annee. I love making these! I usually make them thicker and cut them in squares for crackers! That sounds lovely! Thanks for sharing this with us, XOXO Carine. In place of the seasoning, maybe replace it with popcorn toppers? They have cheese flavored ones, and would still be 0 carb and vegan. Thoughts? You can use any spices you love! Enjoy, XOXO Carine. Hi, my husband can’t have chia seeds due to diverticulitis. Can I grind flax seeds before usiing them in the recipe? It will probably work really well with a flaxegg or an egg! Enjoy the recipe, XOXO Carine.